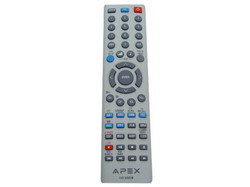 Pre-Owned Apex Remote Control. Excellent condition. Works with your TV, VCR and DVD Player.